This is a black insulated binding post. These binding posts do accept banana plugs, and are a great way to connect single-wire leads. 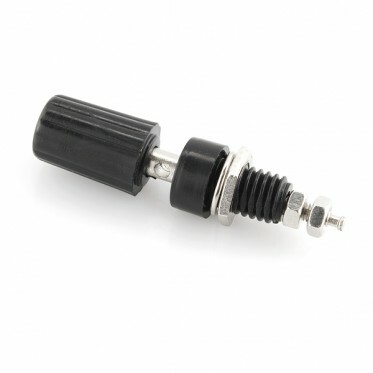 The colored cap screws up and down, and is designed to clamp on the connecting wire. These binding posts are sold individually. We also carry a similar red binding post.